Law enforcement offers a variety of ways to get involved with solving crimes, and deciding to become a crime scene investigator (CSI) is an excellent option for individuals who want employment solving crimes where science, reasoning, and deduction are essential parts of the job. During the last century as scientific investigation has become an integral part of the crime solving process, crime scene investigators have transformed from trained police officers to investigators armed with in-depth knowledge of science and evidence collection. Many CSIs work with local police departments, but some cities also employ these professionals as members of the private sector. Responsibilities of today’s CSIs include securing the crime scene, taking photographs and measurements of the area, utilizing sketches to augment photographic evidence, and packaging evidence collected at the scene. After examining the crime scene, CSIs may then need to attend autopsies, as well as create reports on the evidence and testify about those reports in court. There are several educational paths open to future CSIs, and future college students may want to take extra science classes while still in high school. High school students and others who are interested in eventually attending college to become a CSI may also seek out opportunities to volunteer or participate in internships with local law enforcement groups. 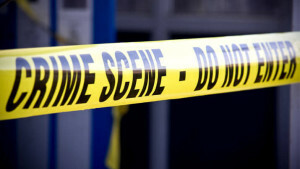 Most of today’s crime scene investigators have a college education. While it may be possible for current law enforcement officers to transition into CSI work without college, the most common path today to becoming a CSI is through advanced schoolwork. Popular majors for CSIs include chemistry, biology, and physics. Getting a minor in an area like criminal justice is very beneficial. A student’s career goals will dictate whether a graduate degree in forensic science is required or whether additional study in laboratory sciences is a good idea. Students who have a good idea where they want to work may wish to look into the educational requirements for employment in the jurisdiction where they want to find a job. Many students seek certification through the American Board of Criminalistics (ABC), but the process is voluntary and not required in all districts. ABC is accredited by the Forensic Specialty Accreditation Board, and there are many specialty disciplines offered through ABC including fire debris analysis, trace evidence, and molecular biology. Requirements to become a CSI vary around the country, but the majority of CSIs today have a bachelor’s degree that takes approximately four years to earn. Beyond a bachelor’s degree, future CSIs have a few different options including attending the police academy to become a sworn officer, as well as working as an assistant to a crime scene investigator to gain experience. After becoming a CSI, it’s common to seek out continuing professional education to remain current on modern investigation and scientific techniques associated with the profession. Although it’s possible to become a CSI after approximately four to five years of study, CSIs never truly stop learning and continue learning about new scientific advances throughout their careers. The decision to become a crime scene investigator offers students the opportunity to earn a healthy income, and the Bureau of Labor Statistics reports exceptional future growth for the profession with around 14,400 job openings expected in the next decade.